FREE Pizza & Pepsi Drink At Little Caesars! 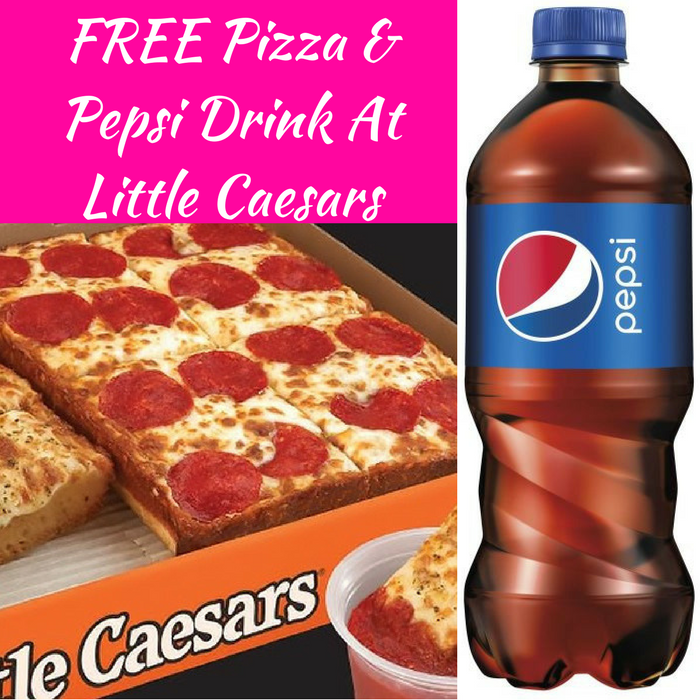 You are here: Home / FREEbies / FREE Pizza & Pepsi Drink At Little Caesars! On April 2, from 11:30am – 1pm only! Little Caesars will be offering a FREE Lunch Combo – no purchase necessary! You will get a FREE 4-slice Deep!Deep! Dish Pepperoni Pizza and a 20-ounce Pepsi-Cola product. Please note that there’s only a limit of one per family. Perfect time for the family!